RMSC had a top 10 finish at NCSA Junior Nationals, held March 13-17 in Orlando, FL, scoring over 200 more points than last year. 52 swimmers qualified and made the trip to compete against some of the best 18&Under swimmers in the country, representing over 150 teams and 1540 athletes. 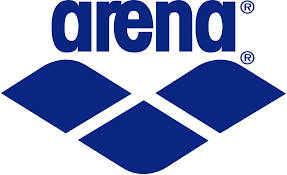 Two of our swimmers qualified to represent Team USA on the NCSA All-American Team on April 4-8 at the Irish Open in Dublin, Ireland. Eli Fouts qualified by winning the 100 breast (53.55), while Ryan Vipavetz qualified by placing 2nd in 1000 free (9:05.09). Ryan led the team in scoring with 100 points, had podium finishes with a 3rd in 500 free and 5th in 1650 free, and added a 9th in 200 fly. Eli also added podium finishes with a 3rd in 50 breast and a 6th in 100 IM, and his 50 breast and 100 breast were 17-18 and Senior team records. Also helping our boys to a 6th place team finish: Jacob Rosner made the podium with a 4th in 1000 free, and broke the 15-16 team record in 500 free. The boys' medley relays also found the podium, with the 400 medley of Jack Rose, Fouts, Alex Colson, and Vipavetz taking 5th, and the 200 medley of Rose, Fouts, Colson, and Ian Mackey taking 8th. Our girls were led by Hannah Kannan, who scored 70 points, and broke team records in 17-18 and Senior 50 back, 100 back, and 50 fly. Olivia French added a podium finish with an 8th in 50 fly. Others scoring points for the club by finishing top 24 in individual events were: Catherine Belyakov, Alex Colson, Timmy Ellett, Grace Giddings, Kaitlin Gravell, Andrei Schwartz, and Nathan Watts. Contributing to top 24 scoring relays were: Zach Bayler, Catherine Belyakov, Kate Cosgrove, Alex Colson, Connor Demitz, Maya Drill, Eli Fouts, Hannah Kannan, Ian Mackey, Jack Rose, Jacob Rosner, Andrei Schwartz, Audrey Tirrell, Kai Vilbig, Ryan Vipavetz, and Cece Zhao. Thanks to the Riley Eaton Foundation for its generous contribution in helping to make the trip possible.